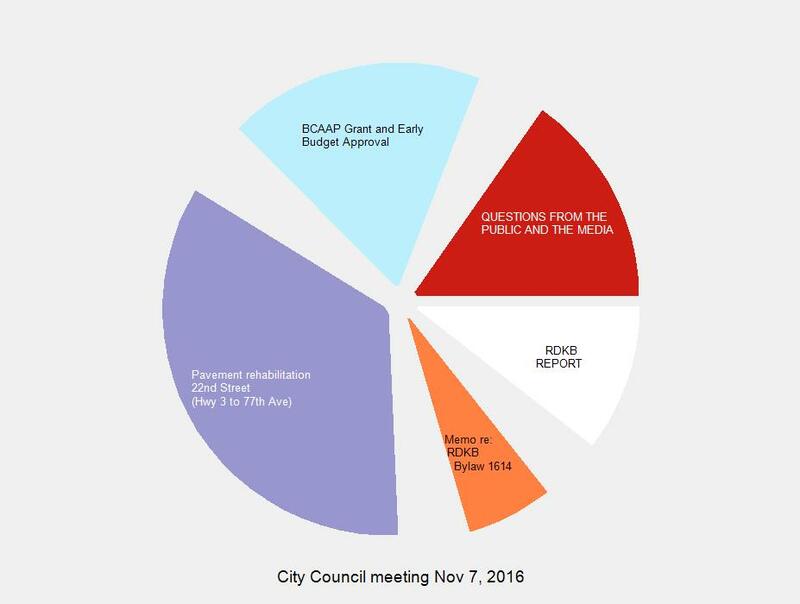 The city council meetings of Nov 7, 2016 were relatively short. 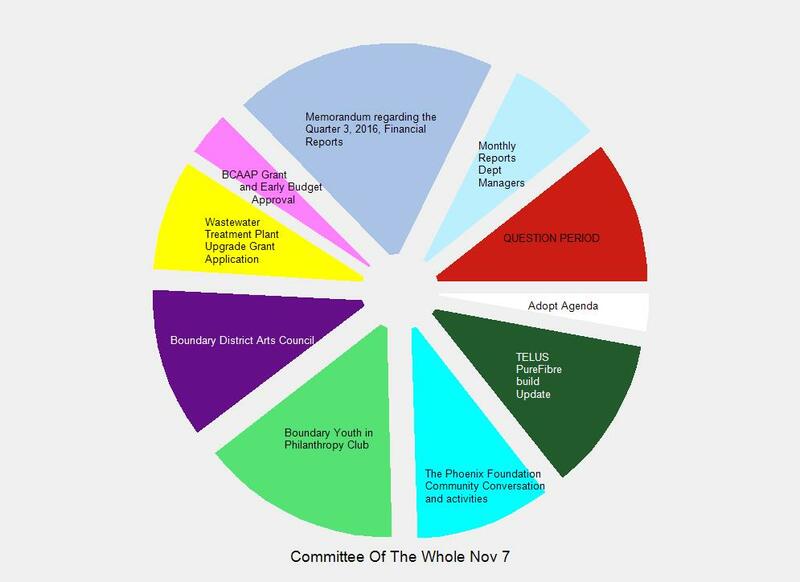 You can watch the meetings in their entirety at the bottom OR use the pie charts to watch. Note on the pie charts: Only discussions that take 90 seconds or more appear as segments in the charts. Clicking on a slice in the chart will open a new tab which will have the meeting video that will begin playing from the start of that discussion. The COTW meeting Agenda can be downloaded from the city’s website. The Regular meeting Agenda can be downloaded from the city’s website. This entry was posted in City, government and tagged council on November 9, 2016 by gftvboss.